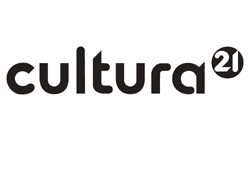 After taking place twice in Brazil, the International Uranium Film Festival came to Berlin in October 2012. The highlight of the festival was the screening of four movies about the nuclear disaster of Goiânia, 1987, one of them Cesium 137: The Nightmare of Goiânia (1990), a movie by already deceased Roberto Pires which had already won several awards at the 1990 Brasilia Film Festival. The present Brazilian directors Jorge Luiz Eduardo and Angelo Lima as well as producer Laura Pires took this opportunity to speak up against the Brazilian government and lacking response to the disaster. The International Uranium Film Festival is the only film festival in the world dedicated to films about the whole nuclear fuel chain and radioactivity, from atomic bombs to Fukushima. The show in Berlin, 04-12 October, showcased more than 60 films. Besides the Brazilian, many other directors from other countries were also present and took part in an active discussion with the public. The Yellow Oscar, an award for the best and most important productions, went to Swedish film director Marko Kattilakoski and his crew for the short film Fikapaus (Coffeebreak). 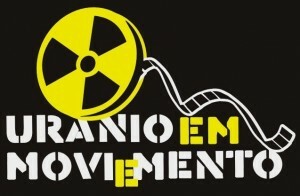 The International Uranium Film Festival of Rio de Janeiro will travel to seven Indian cities in January and February 2013. Documentary film maker from India Shri Prakash is organizing the festival in New Delhi, Shillong, Ranchi, Pune, Mumbai, Hydarabad and Chennai. It will start January the 4th in the Siri Fort Auditorium of Delhi. The festival will also be a part of the Vibgyor international Film Festival (7th to 12th February, 2013) in Kerala, under its theme of ‘Stolen Democracies’. The International Uranium Film Festival of Rio de Janeiro accepts short and feature length films and videos in the following categories: narrative, documentary, experimental, animation for the competitions. Deadline for the Film Entry: January 31, 2013.